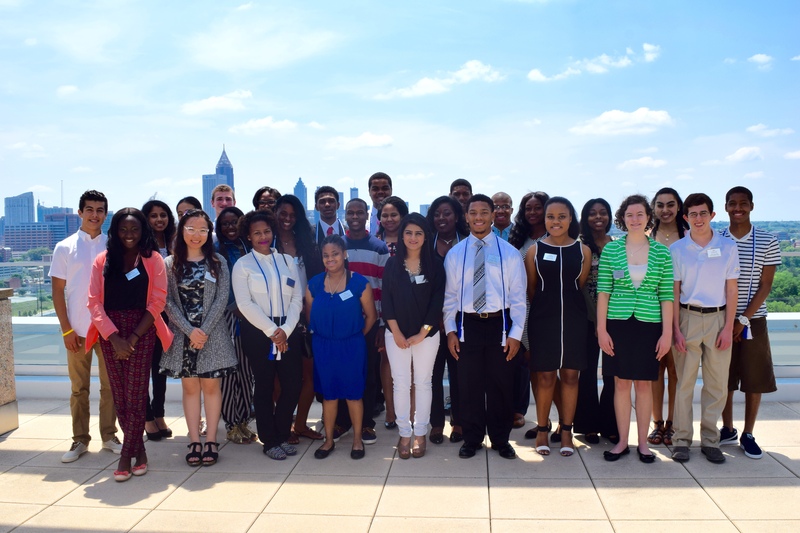 The Leadership Cobb Alumni Association (LCAA) sponsors Cobb Youth Leadership (CYL), a leadership program for rising high school juniors that focuses on developing leadership skills through interactive participation. 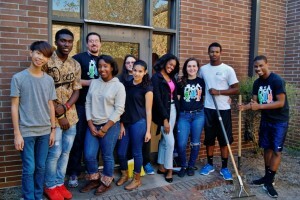 This program was created in 1989 to provide students a unique opportunity to learn about their community as well as meet and interact with students from other high schools. Students attending public or private high schools or home-school students in Cobb County must complete and submit applications for CYL in the spring of their sophomore year. Applications are reviewed by the CYL Steering Committee and approximately 50 students are chosen for the class. 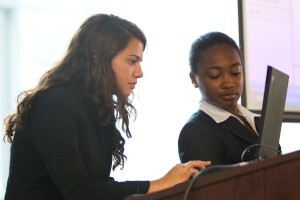 Students participate in the program during their junior year of high school. Applications are now being accepted for the 2017-2018 class! Click here to complete the online form. All applications must be submitted by Friday, April 14, 2017. For more information about CYL, contact Katie Guice at 770-859-2334 or kguice@cobbchamber.org. What are some of the activities of CYL? Through approximately five evening programs during the course of the school year participants in the CYL program are introduced to local, state and national leaders. They also receive information on the responsibility, ethics and tools for effective leadership. The monthly programs run from August through April. Students also participate in two retreats where they focus on team building, personality inventories and additional leadership topics such as cultural diversity and community service. An orientation takes place in August along with a Fall Retreat in September. Following the retreat, evening programs are held monthly September through March. The year concludes with a spring retreat held in late March/early April. What costs are associated with being a part of CYL? Current tuition for selected students is $650. Who is in charge of CYL? CYL is governed by a steering committee comprised of Leadership Cobb Alumni and high school seniors as recent graduates of CYL. How does someone learn more about CYL? Contact the Leadership Cobb Alumni Association through the Cobb Chamber, or contact Katie Guice at 770-859-2334 or kguice@cobbchamber.org. How can someone provide assistance to CYL? 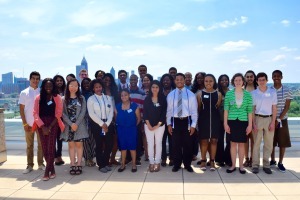 Cobb Youth Leadership Class of 2016 has had an outstanding year so far! The last seven months have been full of new friendships and opportunities to grow leadership skills. Listed below are some highlights from the program days and evenings. Orientation – Located at Six Flags Over Georgia, the new class gathered together to meet for the first time, ride the roller coasters and kick the year off! They even dodged a few downpours in between rides. Fall Retreat – The class went up to WinShape Wilderness for a weekend of team building on a ropes course, a massive kickball game, s’mores and bonding. They ended the retreat hearing from the ADDO Institute. Myers Briggs Evening – Linda Beggs spent the evening reviewing the class’ personality test results, challenging them to celebrate their introverted or extroverted selves and seek to understand others better. They walked aware with a greater awareness of how they interact with their classmates and peers. Public Safety Evening – The class braved the colder weather and got a small taste of what kind of training it takes to be in public safety. From simulations to K-9 demonstrations, the students really enjoyed this interactive night. Media and Communications Evening – On this night, the students met at Chattahoochee Technical College and heard from communication experts. They learned the importance of a good introduction, the impact of their social media footprint and how to communicate effectively. Government and Military Evening – Located at Dobbin Air Reserve Base, the class heard from our leaders at the base and Representative Bert Reeves – a CYL and LC grad and past CYL Chair. They toured the Security Forces Squadron and even got to try on some of their gear! Community Service Evening – The class heard from two speakers in our community who are plugged into the needs of our county. They brought items to make toiletry bags to donate to these organizations. The class packed over 1,000 bags to give away. Amazing! International Evening – Dressed representing their family heritage, the students learned some salsa dancing steps and heard from the Executive Director of Go Eat Give, Sucheta Rawal. Health and Sports Evening – The class had the privilege of hearing from former UGA football star Rennie Curan, Braves representative Kelvin Scott and Sports Medicine expert Rob Riesing. They concluded the night with some football warm ups led by Rennie. Spring Retreat – Held at Stone Mountain Park, the class gathered together one last time to conclude their year with some team building games and time spent together around the park. It was a wonderful weekend spent with new friends! The Yale Young Global Scholars-Beijing Program (YYGS-Beijing) is an immersive 9-day pre-collegiate experience designed to cultivate the next generation of Chinese leaders and China scholars. Our original academic enrichment and skills-based curriculum has been designed for outstanding high school students from China and around the world to encourage their drive, energy, vision, and potential to make a meaningful impact as young leaders. Through a highly competitive application process, up to 80 talented high school students will have the opportunity to learn from distinguished faculty, practitioners, Yale students, and Yale alumni, all while experiencing state-of-the-art facilities at the Yale Center Beijing. Each new cohort of Yale Young Global Scholars will join a global network of the world’s most talented young leaders, helping to build stronger links between China and a rapidly changing world. Learn more about the program overview. 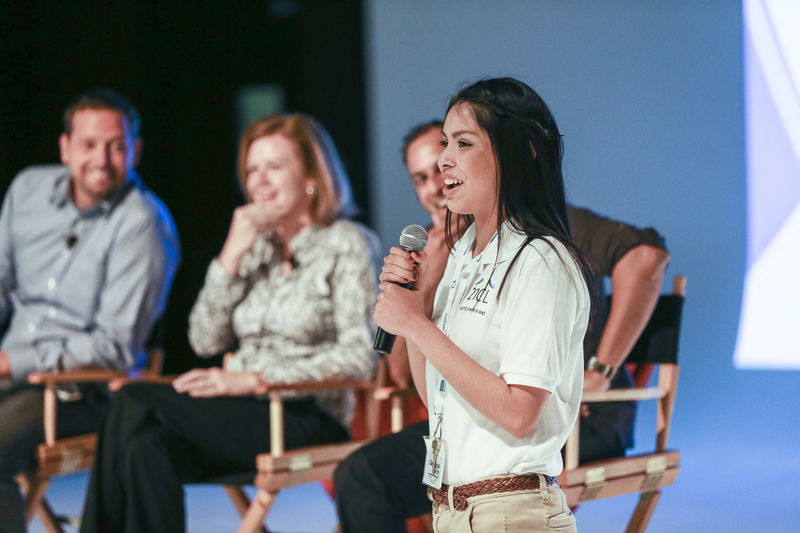 The 21st Century Leaders is a three-year leadership development program for high school students in the state of Georgia. 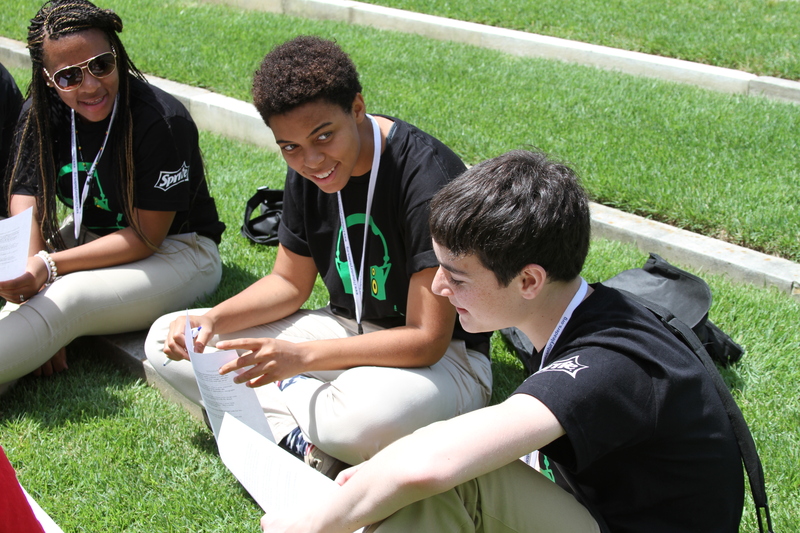 Participants come from over 200 Georgia high schools and truly reflect the state’s diversity. Students hail from urban and rural settings and represent a range of religious, social, economic and ethnic backgrounds. 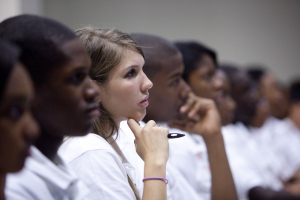 Since 1991, more than 10,000 students have participated in the program. 97% enter college and 72% report taking leadership roles in their post- high school experiences. Currently, 65% of the participants are minority students, 40% come from low-income families and 25% are moderately at-risk. By providing students the opportunity to interact and relate with peers from different backgrounds, 21st Century Leaders fosters an appreciation for diversity that is paramount for society. Students develop leadership skills and build confidence through weeklong summer programs, national service day events and other core events during the year. Throughout the program, 21st Century Leaders gain the leadership skills needed to succeed in the collegiate and professional world.